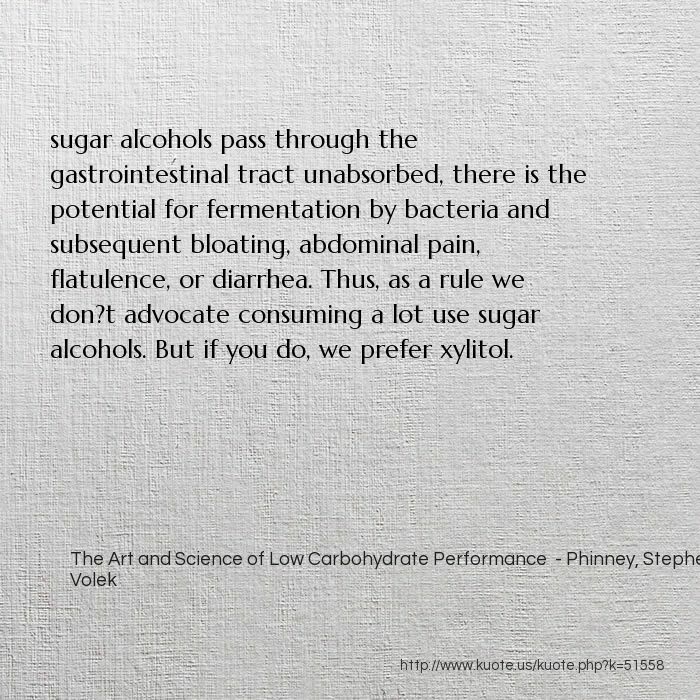 sugar alcohols pass through the gastrointestinal tract unabsorbed, there is the potential for fermentation by bacteria and subsequent bloating, abdominal pain, flatulence, or diarrhea. 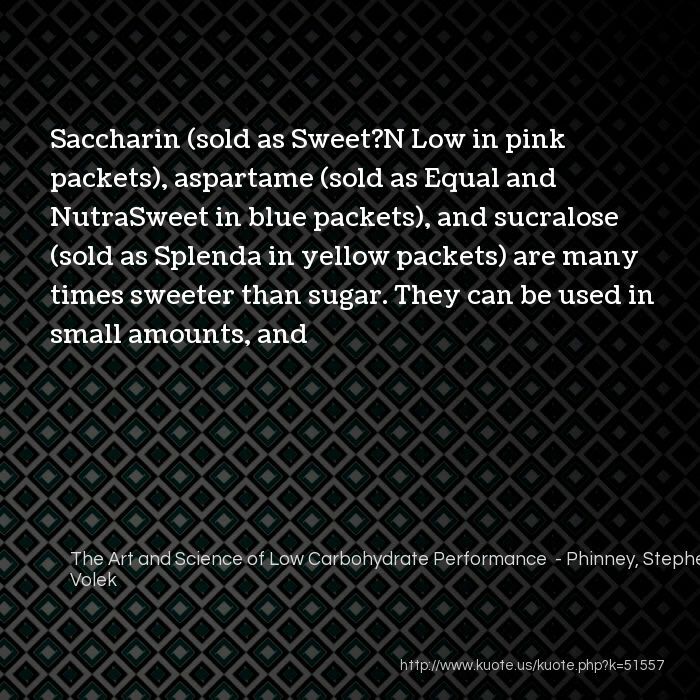 Thus, as a rule we don?t advocate consuming a lot use sugar alcohols. 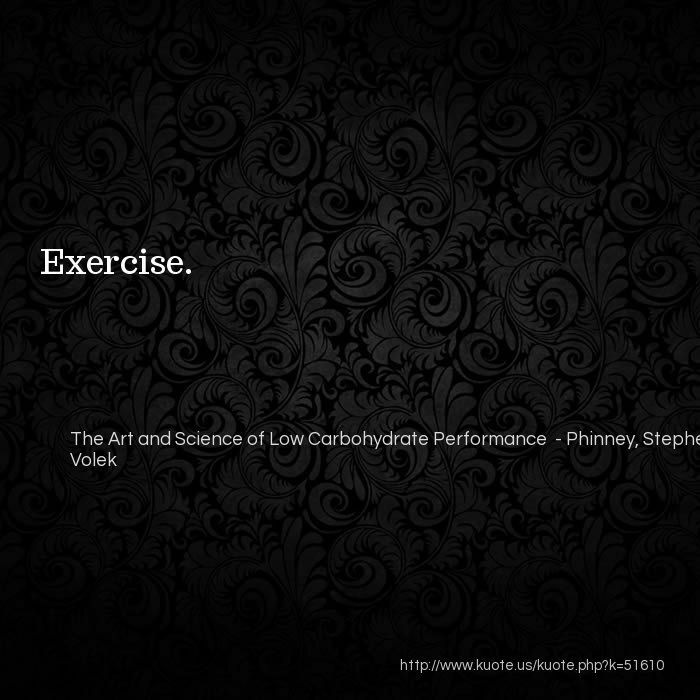 But if you do, we prefer xylitol. 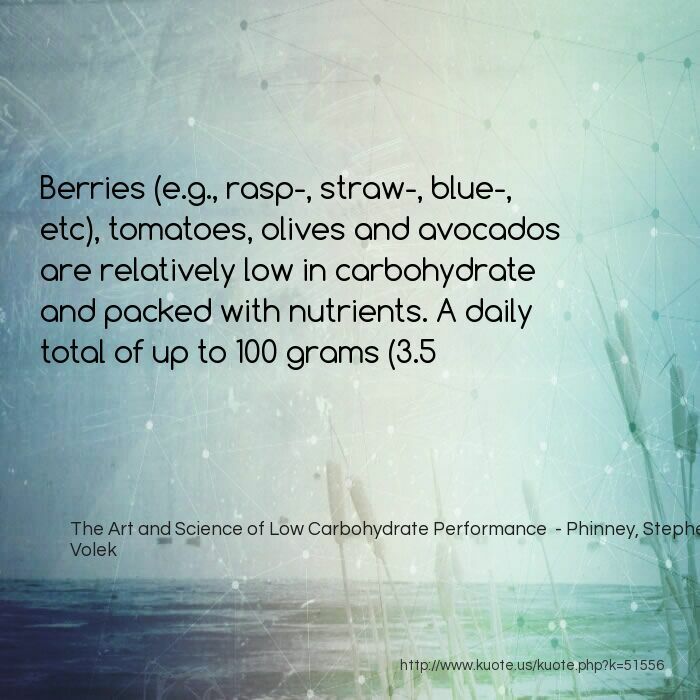 Whole eggs contain about half a gram of carbohydrate each and can be used frequently. 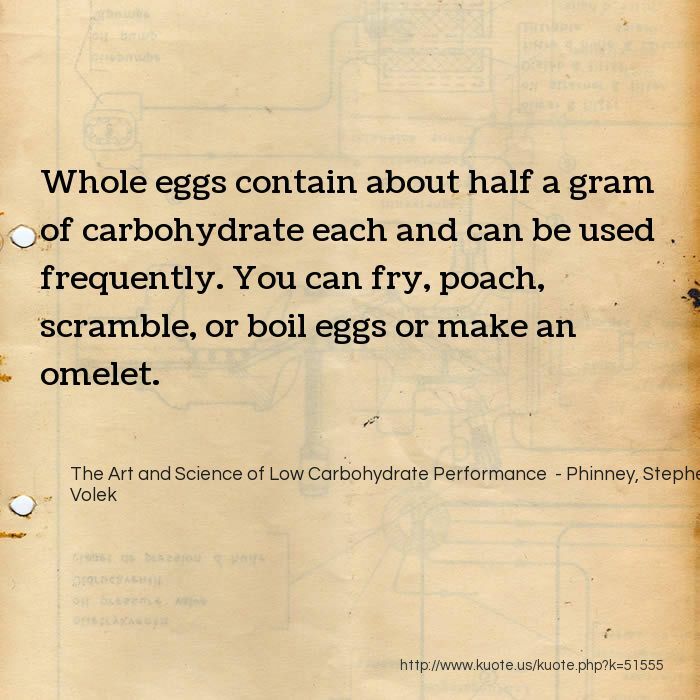 You can fry, poach, scramble, or boil eggs or make an omelet. 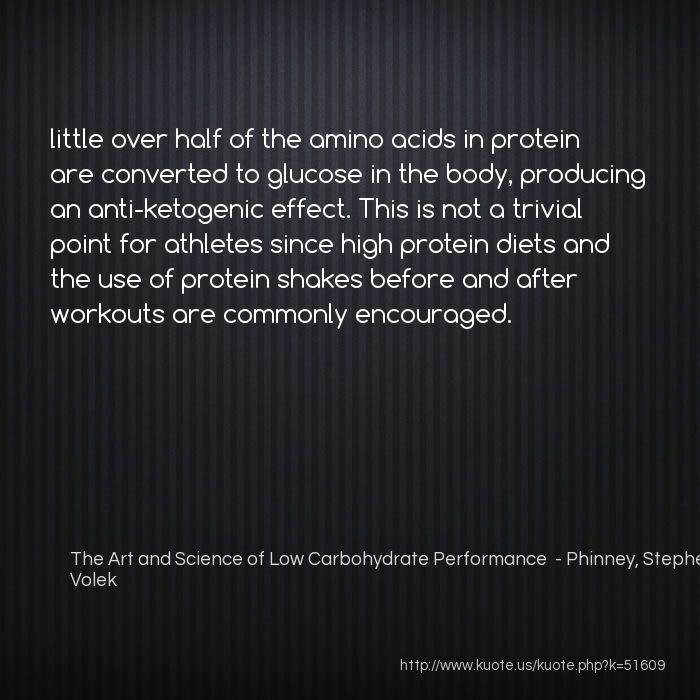 little over half of the amino acids in protein are converted to glucose in the body, producing an anti-ketogenic effect. 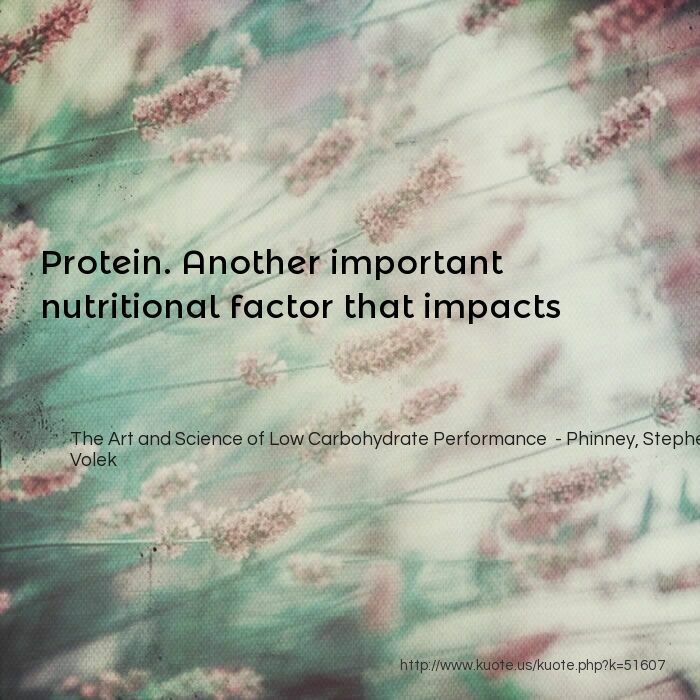 This is not a trivial point for athletes since high protein diets and the use of protein shakes before and after workouts are commonly encouraged. 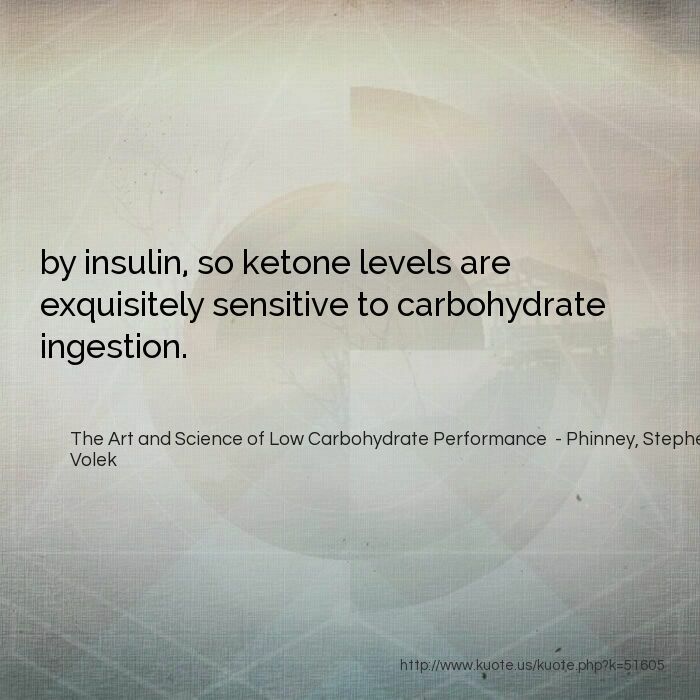 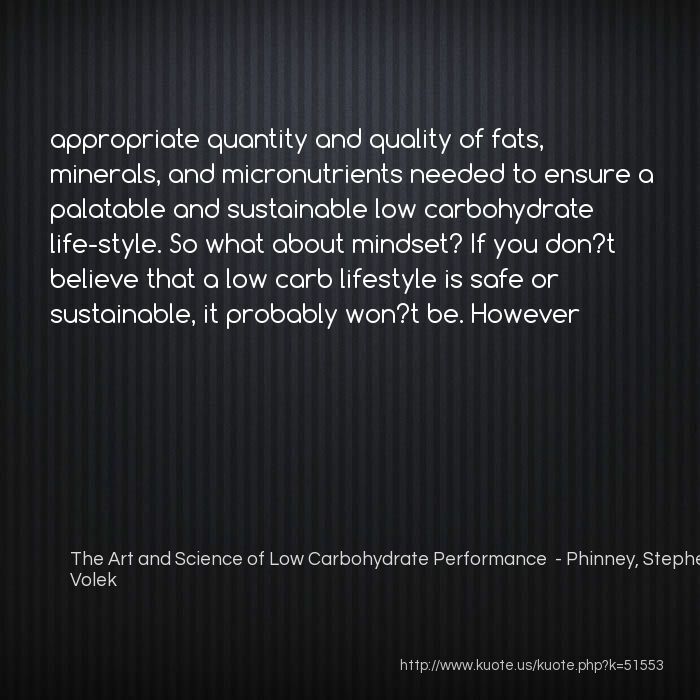 by insulin, so ketone levels are exquisitely sensitive to carbohydrate ingestion. 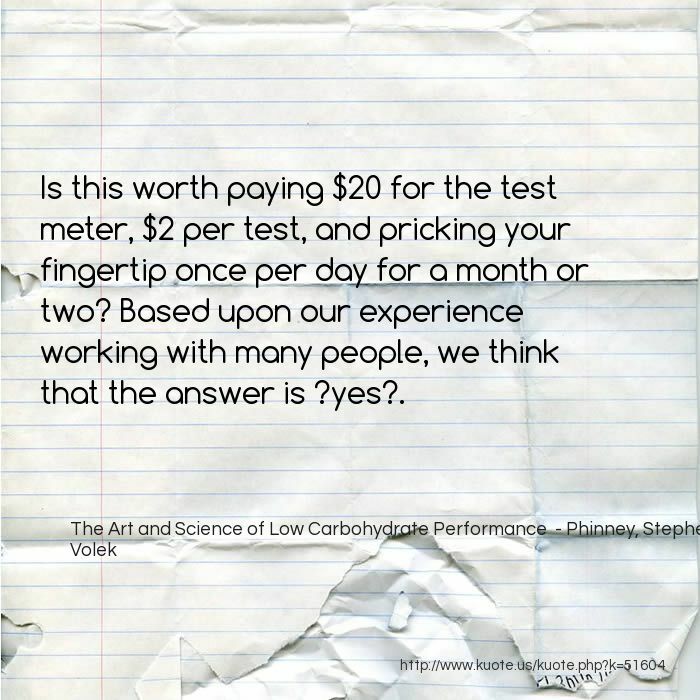 Is this worth paying $20 for the test meter, $2 per test, and pricking your fingertip once per day for a month or two? 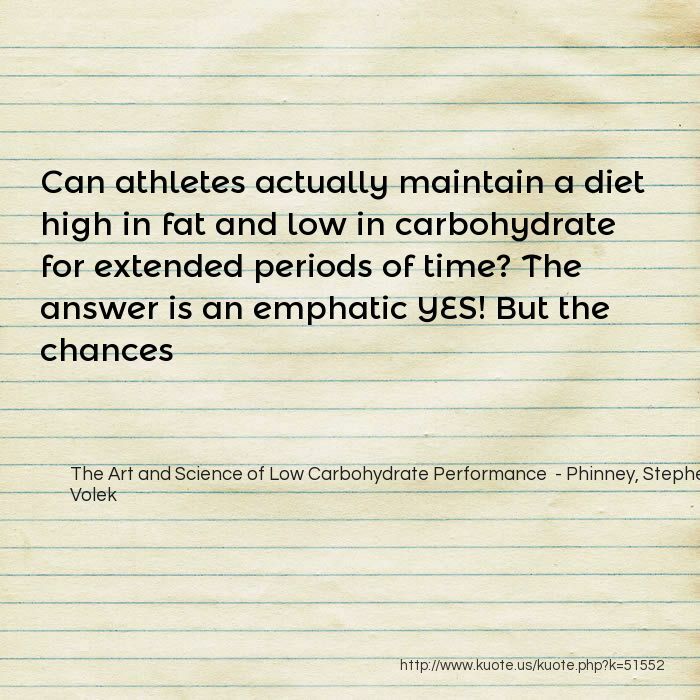 Based upon our experience working with many people, we think that the answer is ?yes?. 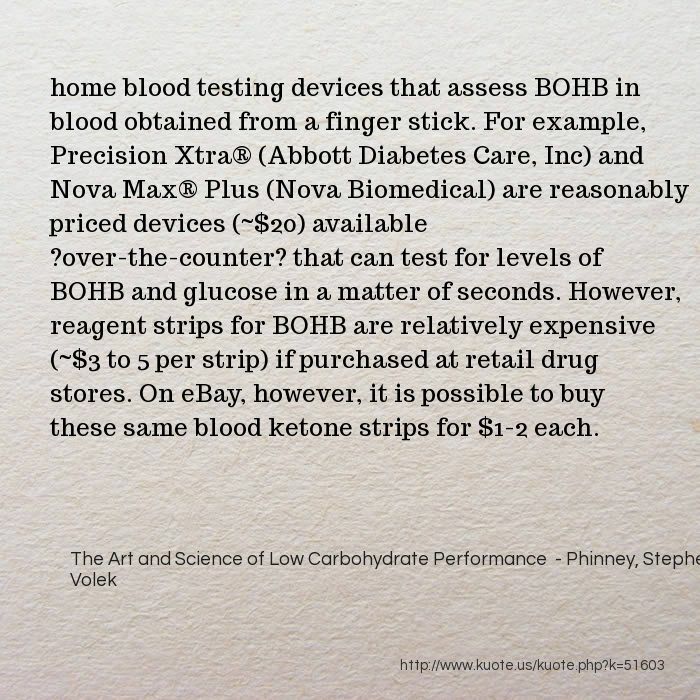 home blood testing devices that assess BOHB in blood obtained from a finger stick. 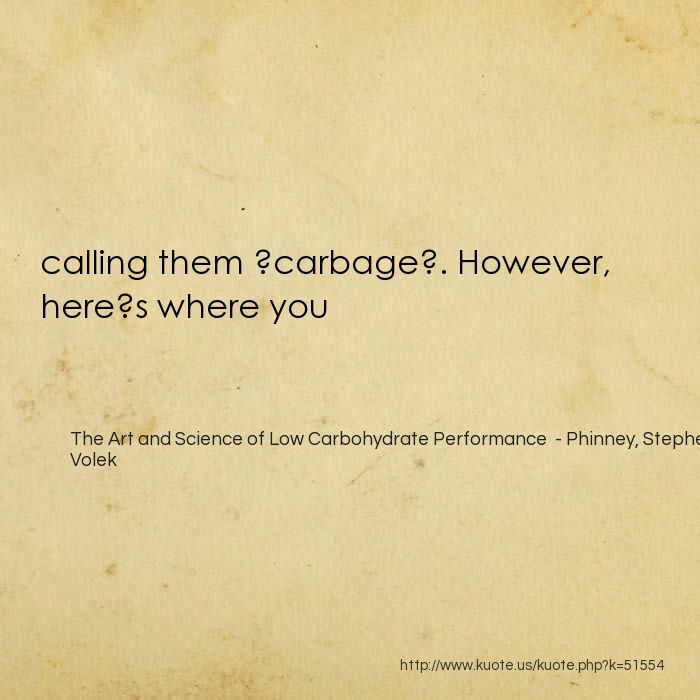 For example, Precision Xtra® (Abbott Diabetes Care, Inc) and Nova Max® Plus (Nova Biomedical) are reasonably priced devices (~$20) available ?over-the-counter? 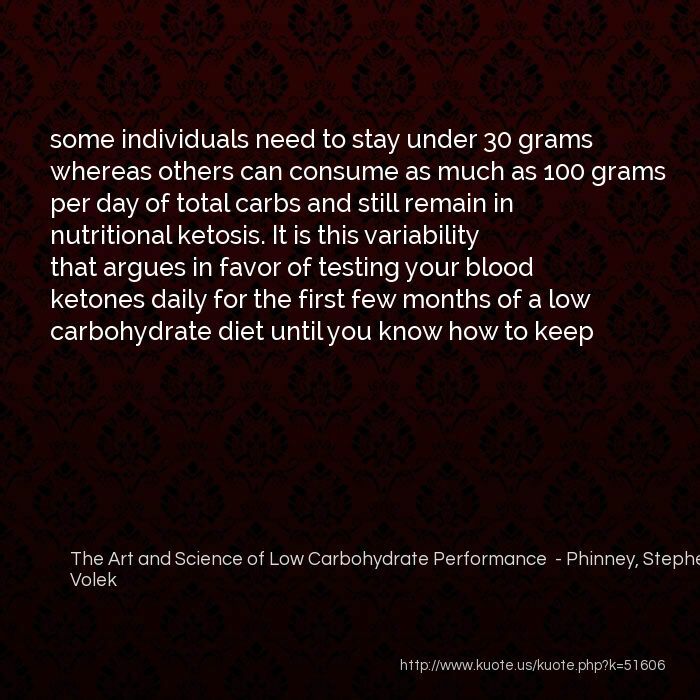 that can test for levels of BOHB and glucose in a matter of seconds. 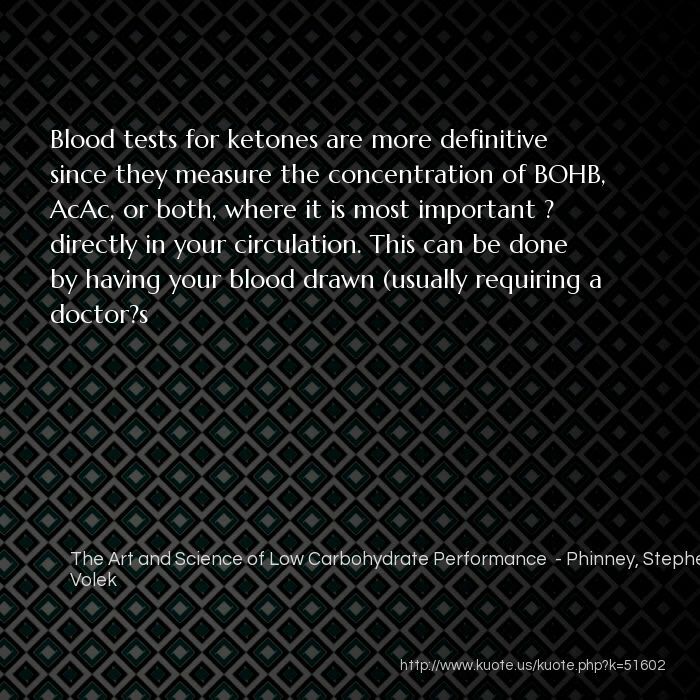 However, reagent strips for BOHB are relatively expensive (~$3 to 5 per strip) if purchased at retail drug stores. 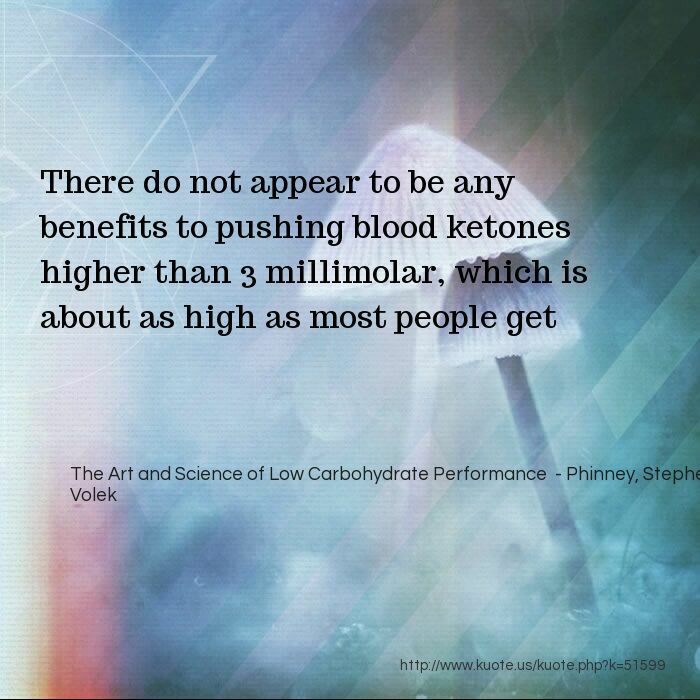 On eBay, however, it is possible to buy these same blood ketone strips for $1-2 each. 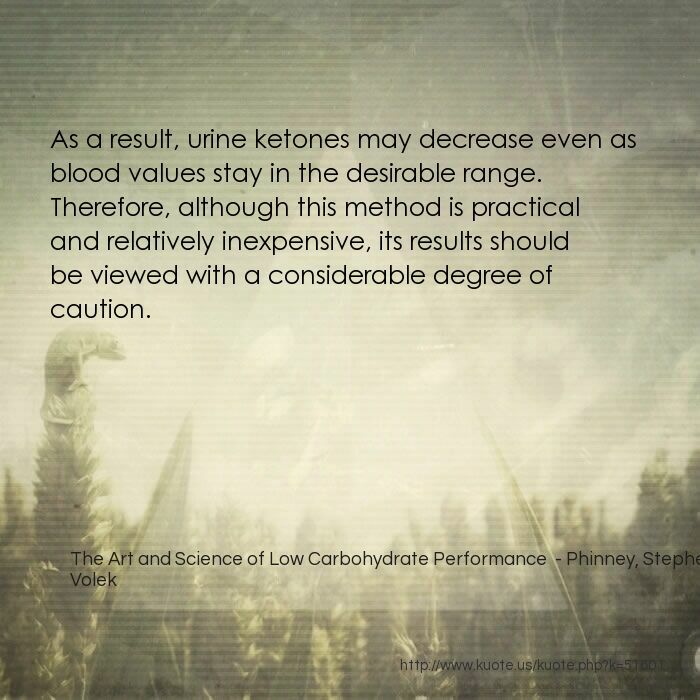 As a result, urine ketones may decrease even as blood values stay in the desirable range. 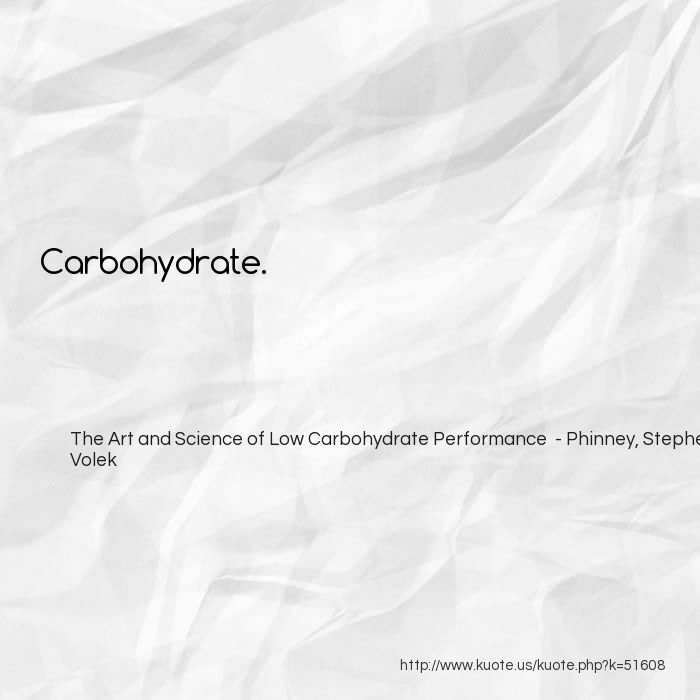 Therefore, although this method is practical and relatively inexpensive, its results should be viewed with a considerable degree of caution. 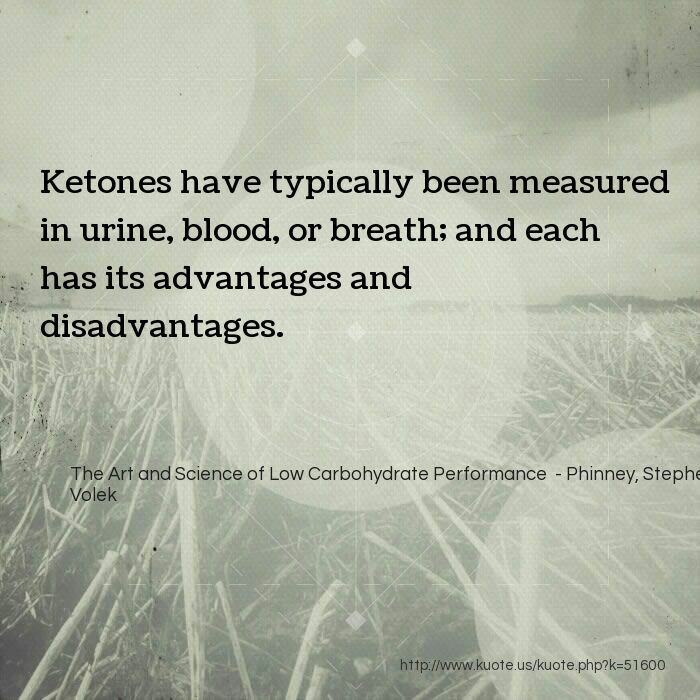 Ketones have typically been measured in urine, blood, or breath; and each has its advantages and disadvantages. 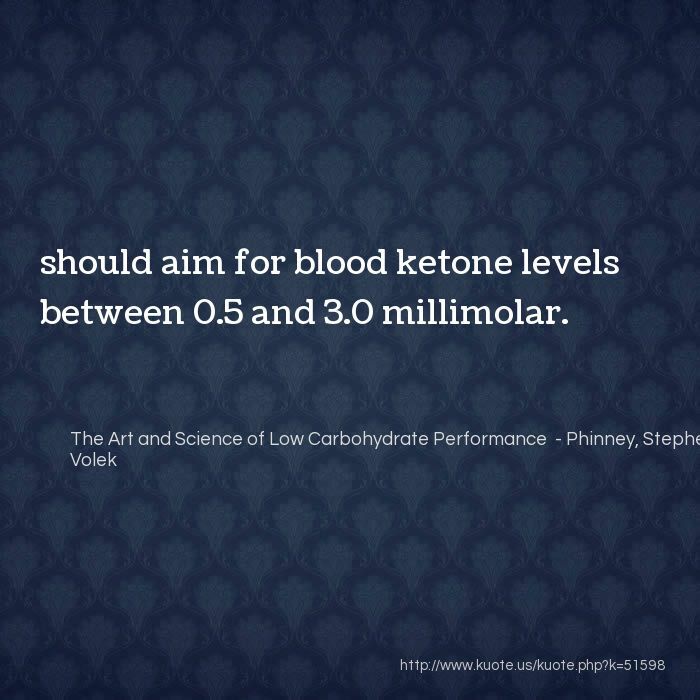 should aim for blood ketone levels between 0.5 and 3.0 millimolar.